Preparing materials for future articles about animals, we spent a lot of time looking at the most wonderful photos of different animals from around the world. So we present to you the cutest animals of the world ! These monkeys have got their place in the rankings after a fun experiment. Scientists have tried to teach these Brazilian monkeys to open containers of treats with the help of video tutorials. Marmosets have coped with the task with enthusiasm. In 2014 a new kind of octopus was opened, which is remarkably similar to the cute baby elephant Dumbo from Disney cartoon of the same name. The octopus has two small appendages at eye level, which are somewhat similar to the ears. This gives it a certain resemblance to the cartoon character. Dumbo was found at the bottom of the Gulf of Mexico in April 2014 during a NOAA expedition, which took place on board the submarine "Okeanos Explorer". Biologists have discovered 14 new species of frogs in India in 2014. But one species was very funny and attracted the attention of scientists. The male of Indian frog has a special mating dance with which it attracts females: it pulls legs in the special rhythm it looks very cute and funny. If your ship has stowaways, then, most likely, this is a lizard-anoles. Scientists have discovered that the Caribbean unless learned how to move from one island to the other on the ships. Spider-Racer Eyes or rather, enormous eyes of this charming spider were captured by photographer Noah Frem-Schwartz. The picture of spider-racer turned out so interesting and fascinating that it was immediately added to the list. 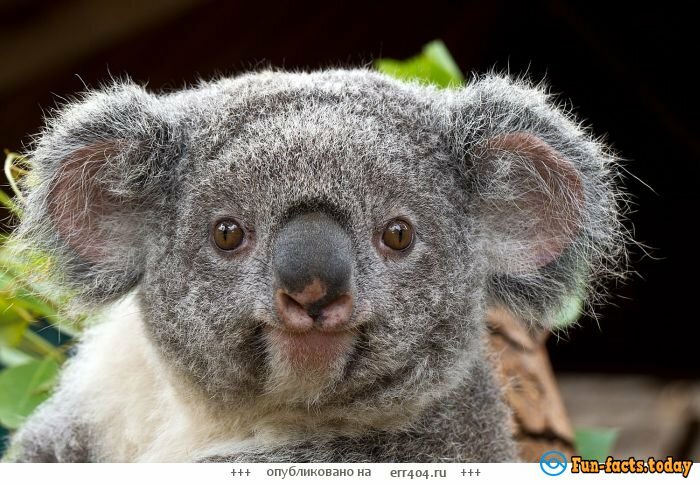 Pandas and koalas together may overshadow the popularity of cats on the web because they are so cute. Scientists have discovered why koalas sleeping in the arms of trees. These herbivorous marsupials are pressed against the cool branches, so as not to feel discomfort at the hottest time of day. The body length of the animal is approximately 50cm, plus a small tail - 30 cm. The charming Quokka weighs no more than about 5 kg. Quokka is not afraid of people and can easily come very close to you. However, the law is forbidden to touch the animal and to communicate with them (photo only). The penalty for the first warning is $ 300, but then you can get a fine of $ 2,000. Sloths eat only tree leaves and flowers, very rarely they eat insects and lizards. The leaves are low in calories, which is why all the actions of the animal are focused on strict energy savings. 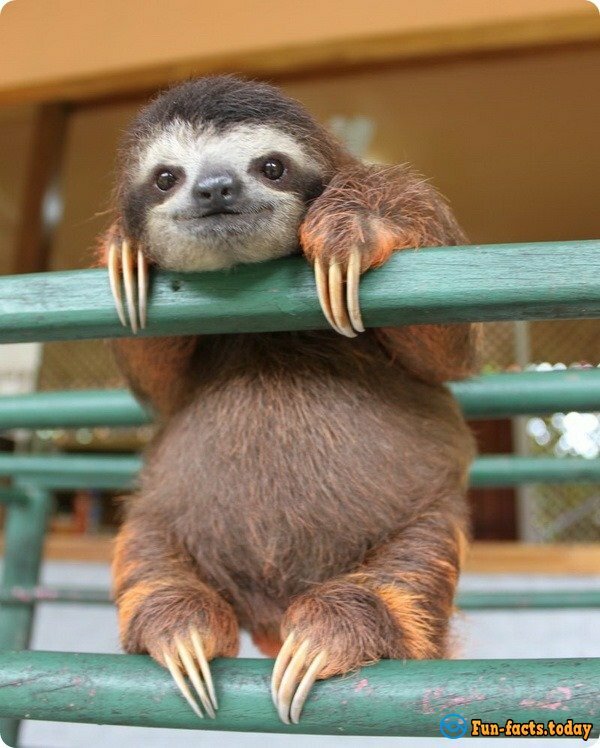 Almost all his life sloth spends on the tree, he sleeps 15 hours a day,the rest of the time is for eating. In their wool live butterflies and blue-green algae. Algae gives wool a greenish tint, making sloths invisible among the foliage. Fur seals are on the permanent summer rookeries, beaches. These animals are taken harems, and if the northern fur seals defend his harem of females, the southern species only protect the territory. These frogs are not poisonous, this rainbow coloring simply serves as a protective camouflage. They hunt only at night, eat crickets, moths and flies, and sometimes other smaller frogs. 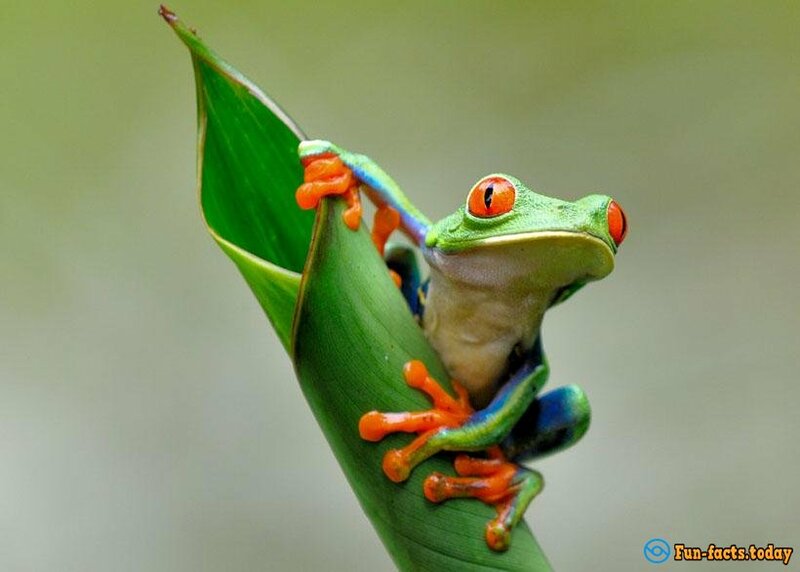 Due to its bright colors, tree frogs are very popular among fans of terrariums - they are kept as pets. Although frogs in the wild are not awake during the day, at home, when they see the food - just wake up. The Kalan or Kamchatka is the sea otter. These animals live on the northern Pacific coast of Russia, Japan, the United States and Canada. Hunting of sea otters is prohibited in almost all regions of the world.The Kalan is a very clever animal, it even uses tools! Its length is 1.5 m., and weighs up to 45 kg.